I came across this on Facebook today. So true! I learned it the hard way and then wrote a book about it ... Please Love Me. The good news is that with determination, we can learn and grow from all our relationships and experience. I sure did; I will never forget the boy that broke my heart while I was breaking his. I'm so thankful I went on to have such a wonderful, fantastic husband ... going on 25 years! 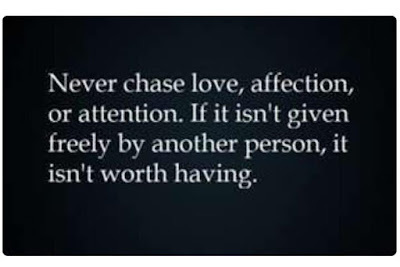 Often when people over focus on finding love, it's an indication that there are deeper issues at play. 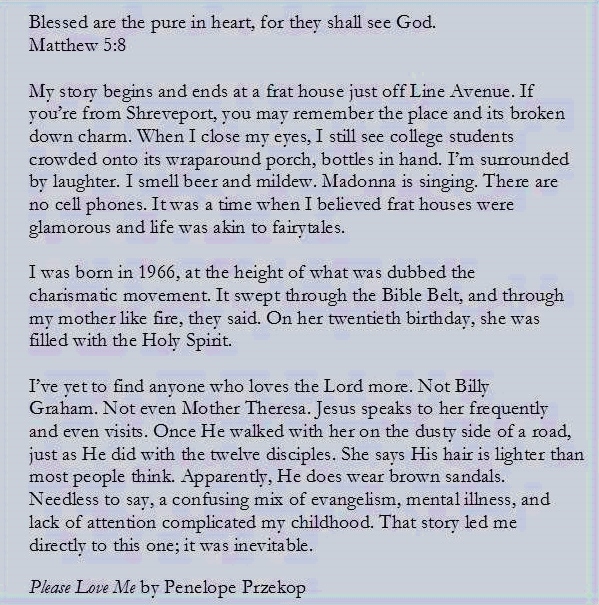 Writing Please Love Me as a young adult enabled me to tease apart my own experience to further heal and move forward. Chasing love is like chasing after your own tail. It takes you in circle after circle, keeps your head spinning, throws you off balance, and doesn't get you where you want to go. It usually leads to frustration. I won't go on and on about it; if you're interested in the story, you can read the book. I call it an almost memoir. All the names are changed, including my own. I condensed several years into one and added a few things for dramatic effect. I also added some content to round out the story and relay what I wanted and needed to express. I don't claim to be Earnest Hemingway, Maya Angelou, or John Irving, but I think it's a good book. I wrote Please Love Me in my mid-twenties when it was fresh, raw, and real. I was trying so hard to understand. I may have been wrong about a few things. I've thought lately about writing another book related to that time in my life from the perspective I have almost thirty years later. A real memoir. Maybe. Eventually. I might just keep painting.